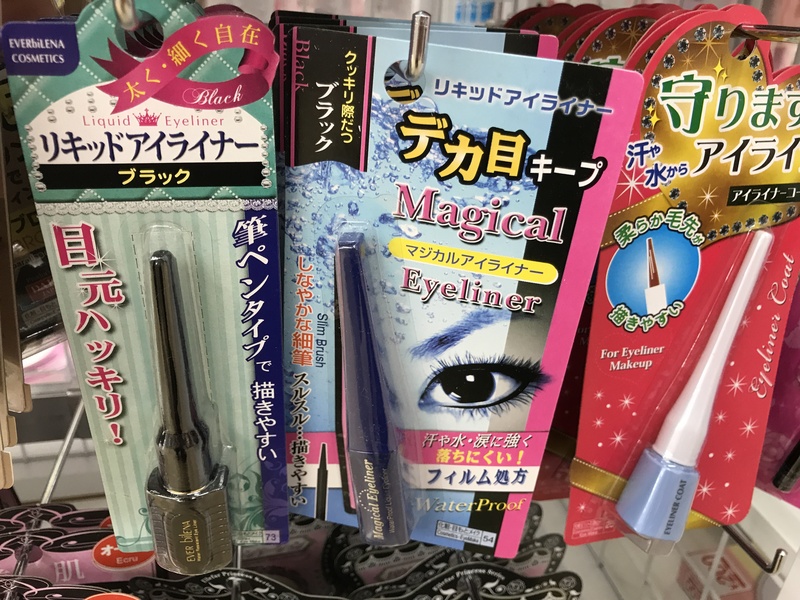 Beauty for a buck - Japan's 100 yen store cosmetic buys! 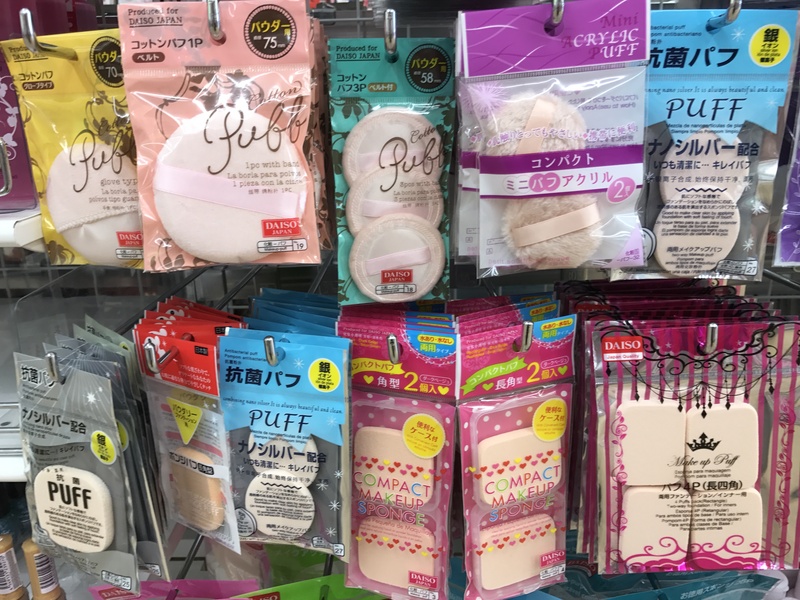 Shopping for cosmetics in Japan is super fun - you've got everything from fancy high end stores like MAC and Shu Uemura in Omotesando, through to brands like Kate, Maquillage and Majolica Majorca that you can find in most department and drug stores here. But let's be honest - if we're talking MAC in particular, sometimes the budget just doesn't allow for a $30 lipstick, a $40 blush and a $50 foundation (and that's just the beginning). Don't worry though - there is a place you can get cute and functional beauty supplies for next to nothing. It might be a place that you've never considered for beauty products before, but don't go running away and closing out of the article just yet - stick with me here! 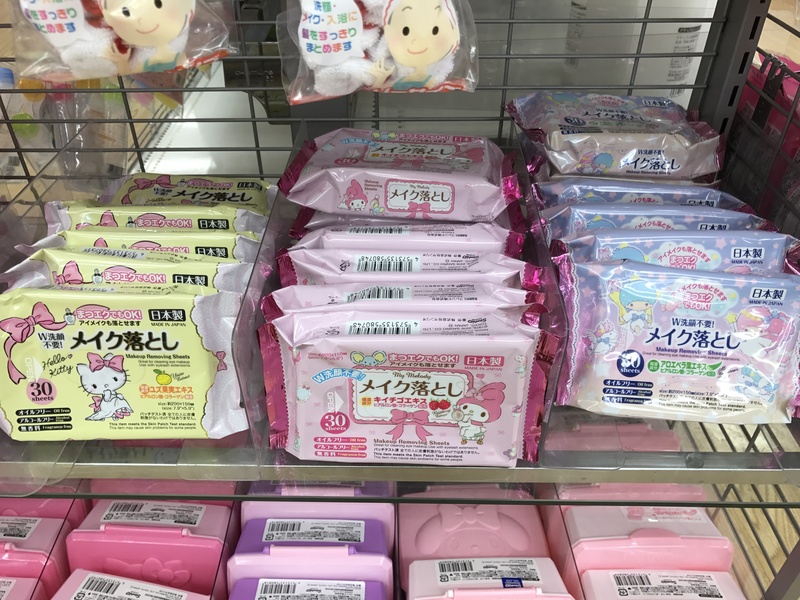 You can find awesome products that will keep you looking your beautiful self at the 100 yen store. Here's some of what you can find there, and the quality is surprisingly legit! These are great little lip glosses, in both clear and colored shades. The clear is great for everyday wear, and the juicy pink is just the right pop of color without being too much. They are all made in Japan, too! 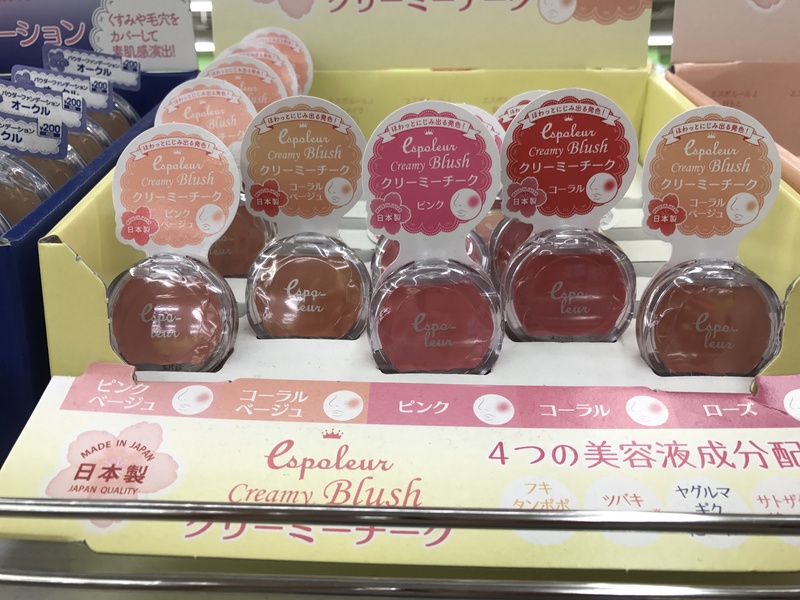 This particular brand, Espoleur, is a Daiso owned brand - and there are 5 shades of their cream blush available. A blush at MAC is in the realm of around ¥3500 so it's nice to have a cheap alternative. The fact that there are several shades means you should be able to find something to match your skin tone and personal makeup style. 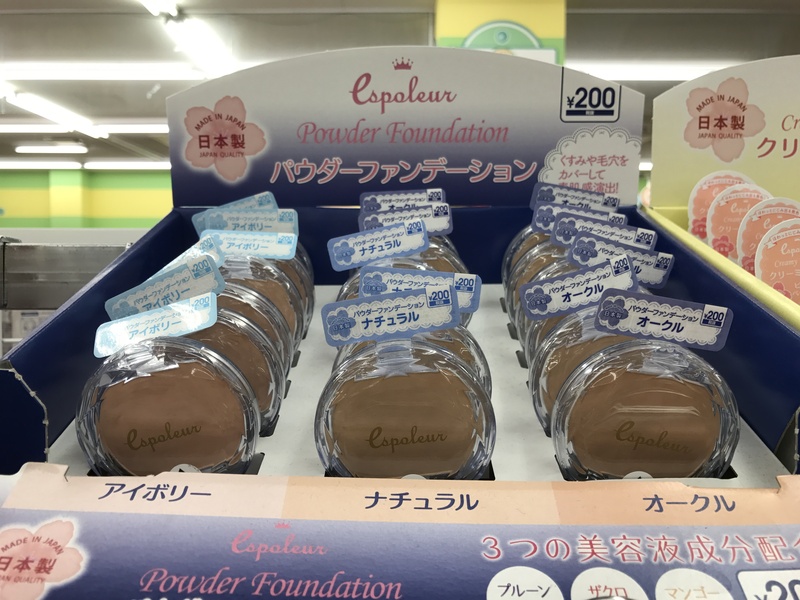 These powder foundations are slightly more expensive than your average Daiso product (they're a 200 yen product) but when you compare that to a powder foundation from MAC that sets you back over ¥4000 then ¥200 really doesn't sound exorbitant, does it? If you were to pop into MAC in Omotesando and pick up their LiquidLast Liner, it would set you back ¥3456. Daiso had several different liquid liners in stock, for a fraction of that cost! Come on - if it has the word magical in the title it has to be good, right? 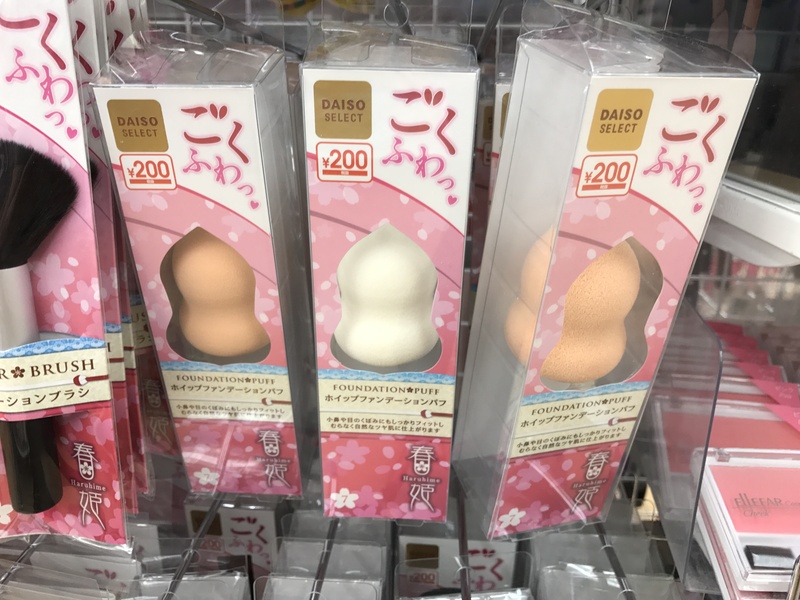 Have you seen the original beauty blenders? They generated quite a bit of hype when they were first released - but I balk at a price point of $20 US for something to blend my makeup! 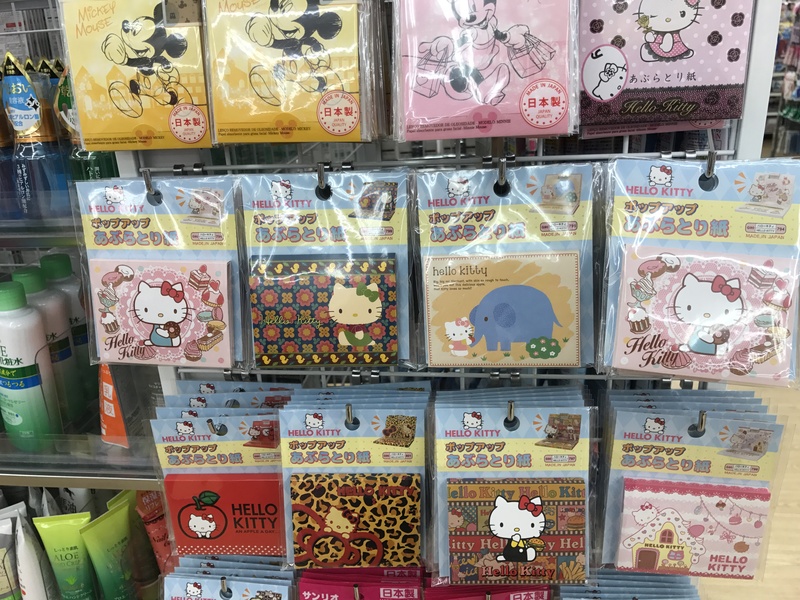 Enter Daiso to save the day with this awesome dupe. I can vouch for these as I use mine daily, and it's held up super well - yes, it is a 200 yen product instead of 100 yen but it's worth every bit of that. And I know they're not pink, but they definitely do the job functionality wise! 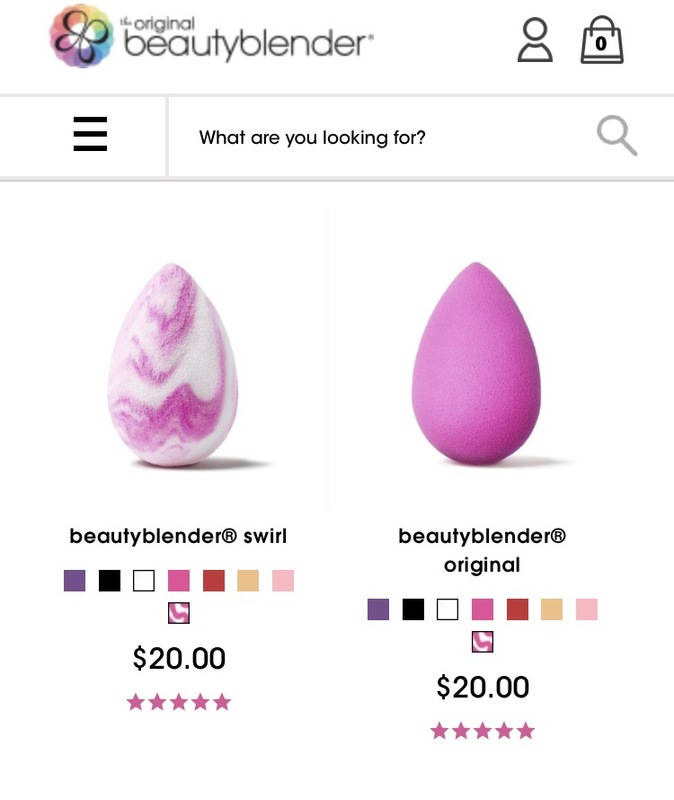 I haven't tried these ones myself, but I'm judging that they are pretty popular given the fact that they were out of three colors in the range! 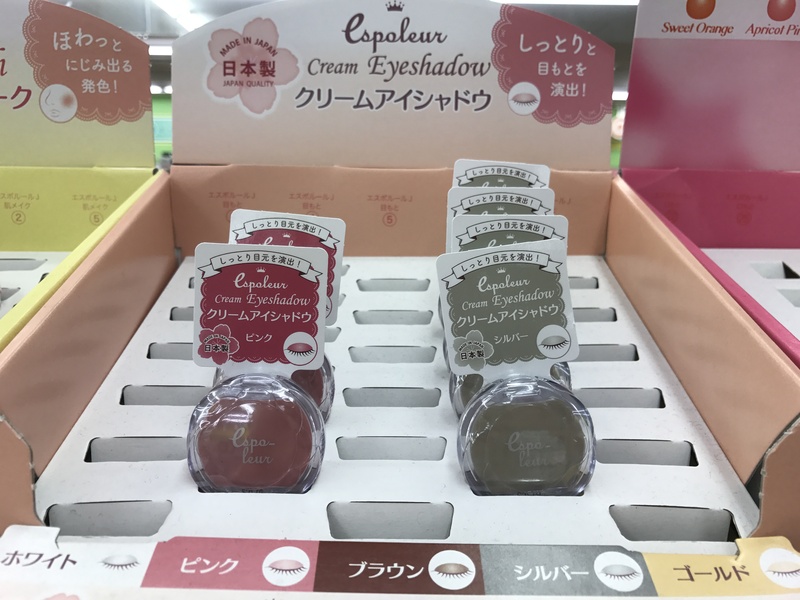 If you were to pick up one cream eye shadow at Shu Uemura in Omotesando, it would be ¥2800 - and that's not including the 8% sales tax! 100 yen sounds like a pretty nice price point in comparison, doesn't it? A product has to be good if the shelves are just about picked clean, right? Ever had your mascara go a bit gluggy, and you've had to throw it out before it expired? 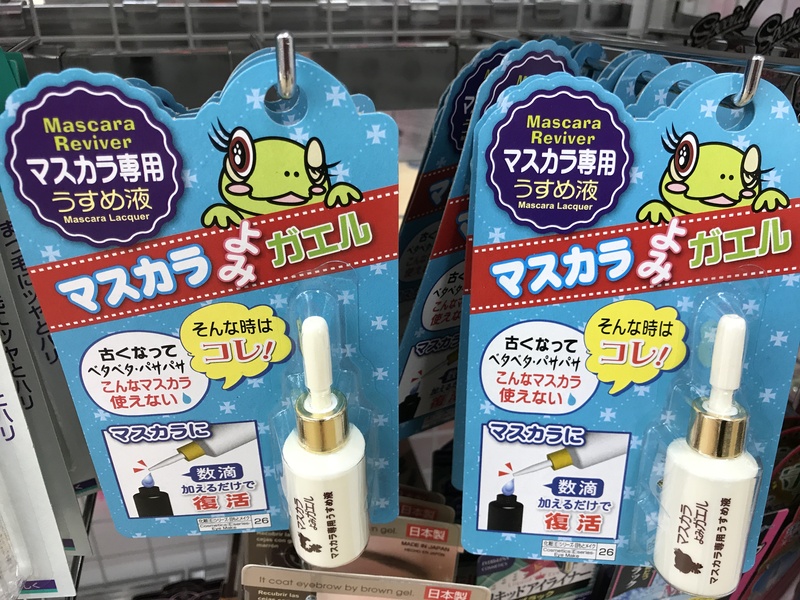 Well, Daiso has mascara reviver - add a drop or two to your existing tube of mascara and give it a little mix around, and voilà - you've saved yourself some money and haven't wasted anything! 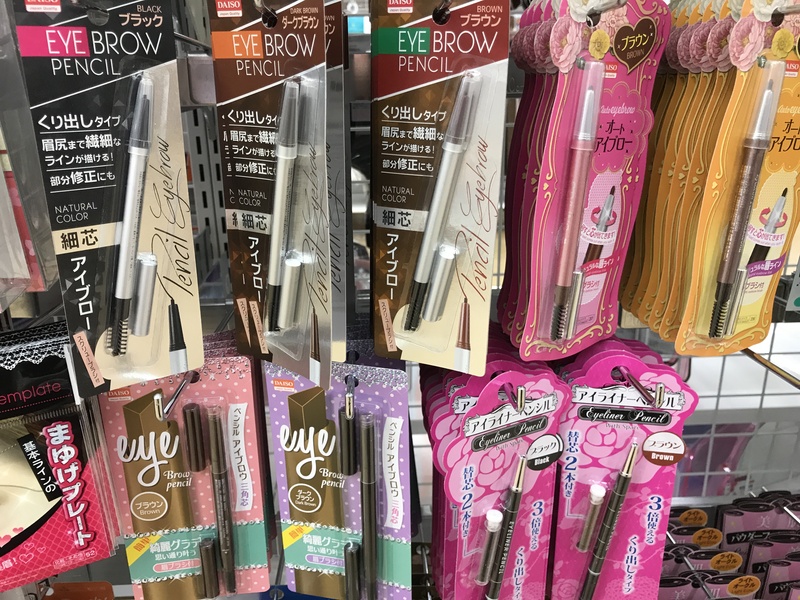 Daiso (and most 100 yen stores) will stock eyebrow and eyeliner pencils too - with multiple shades as well. If you compare this to an eyebrow pencil from MAC Japan at ¥2592 then this is a steal! If you want some added va-va-voom to your makeup look, false lashes are a great way to achieve that! 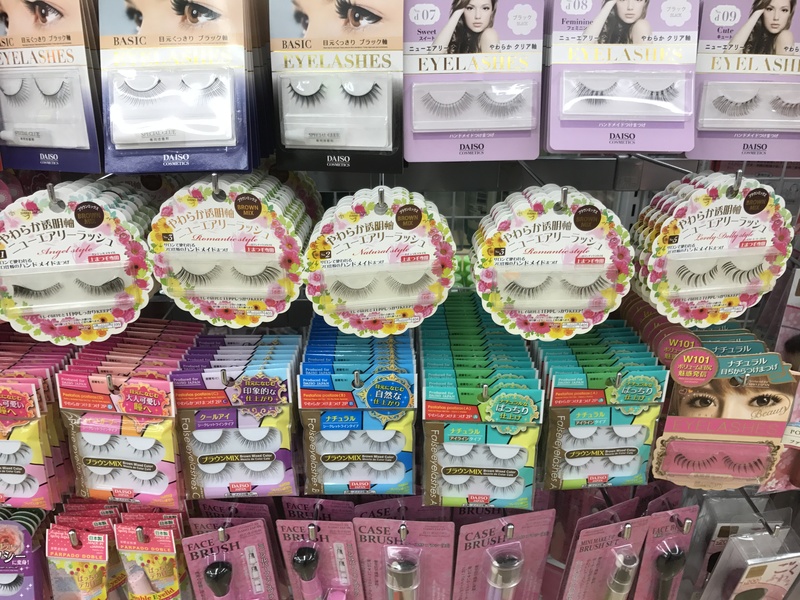 I haven't personally tried the false lashes here, but they had so many types (styles like sweet, feminine, cute and basic were some of the lashes on offer!) so you're bound to find something that suits your style. 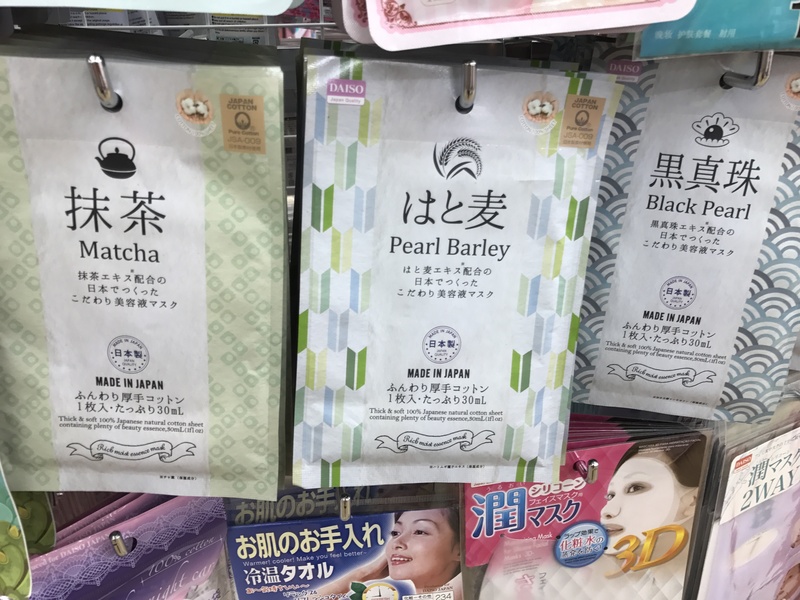 One of my favorite beauty buys in Japan are their awesome sheet masks - they really help with rehydrating your skin if it's a bit dry, and they're a quick pick me up if your skin is looking dull. 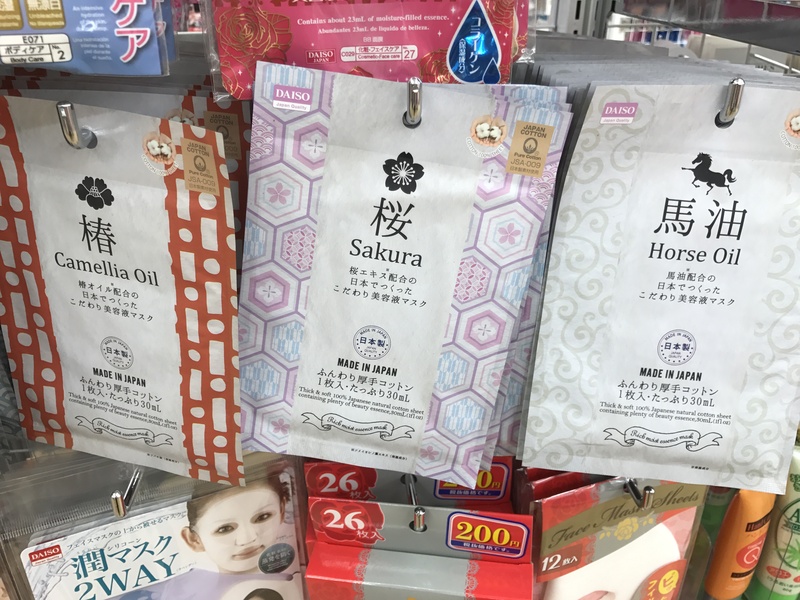 At other stores, face masks like these can run you from 350-500 yen, so it's nice to be able to get a bit of a budget reprieve with these ones. They have all manner of types, and make great souvenirs for friends or family back home. 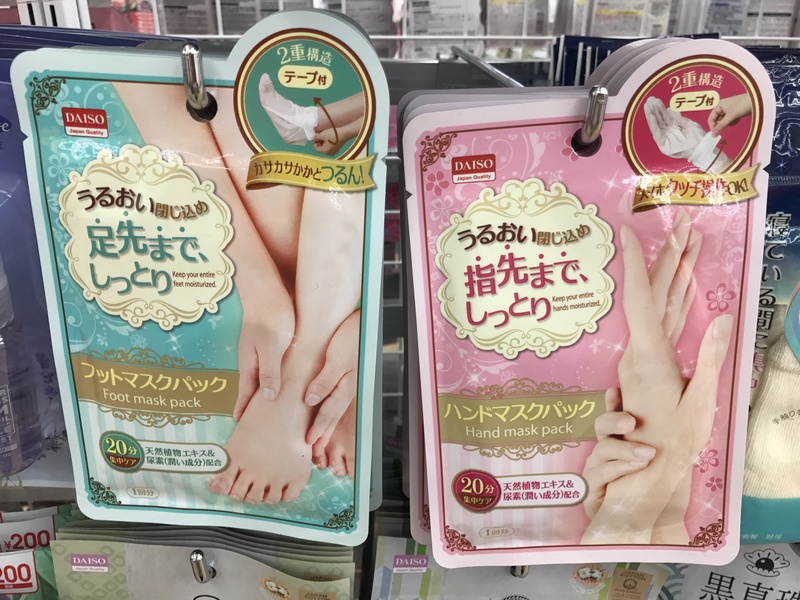 It's not just your face that gets to experience the fun of a mask - Daiso has your hands and feet covered, too! These are great if you're having a bit of a pampering session with your friends, and they'll have your skin feeling baby soft in next to no time. Another fun one for girls nights, or DIY pedicures at home - these super cute toe separators! Daiso also offers a range of other nail related products - polishes, nail files, buffers, hand lotions and more. You can buy everything you need for multiple mani-pedis for the equivalent of $5! We all age - it's one of those facts of life that sometimes would be nice to avoid, but it happens. 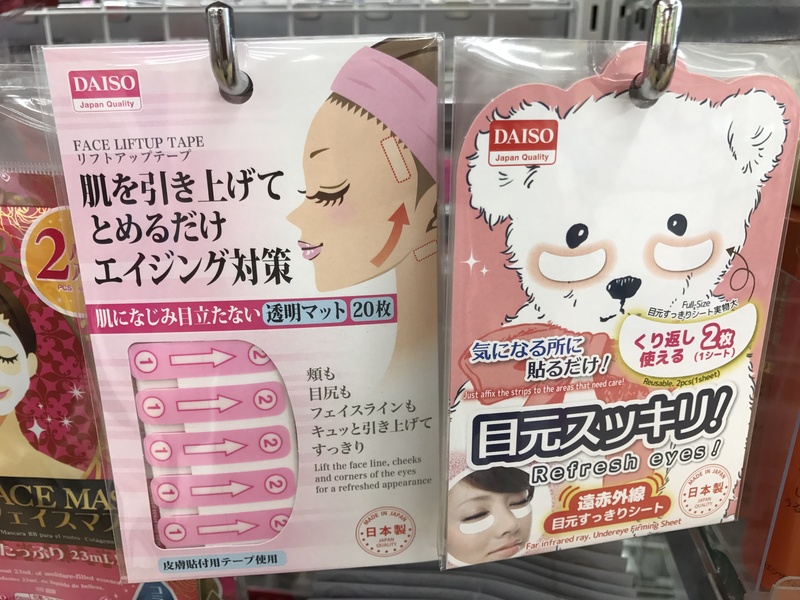 If you want a bit of a pick me up, Daiso sells these Face Liftup Tapes and under eye refreshers. The face liftup tape in particular says it helps in lifting the face line, cheeks, and corners of the eyes for a refreshed appearance. Whatever works, right? Pesky blackheads bugging you? 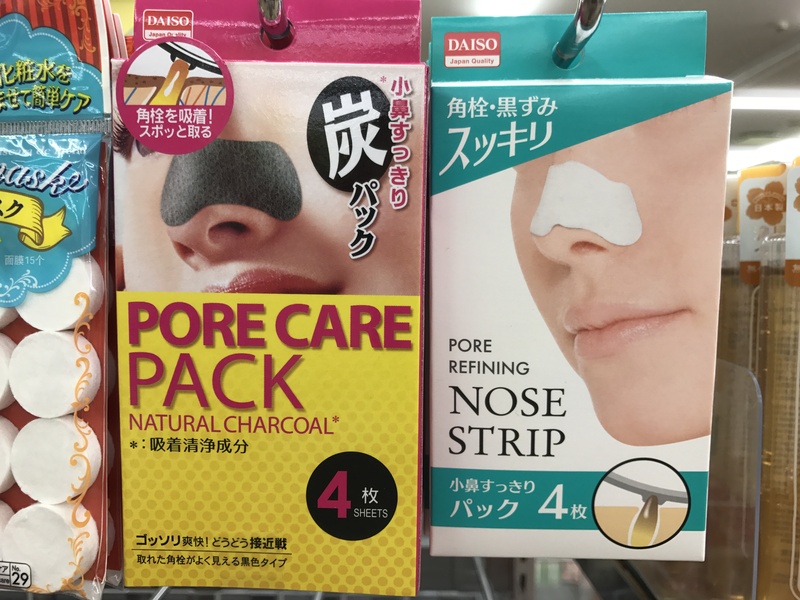 Daiso has these great pore packs that work just like their Biore brand counterparts. Wanna know something neat? The Biore pore packs that you can buy in the US are actually made in Japan (check the fine print at the bottom of the Biore website here) - so for all we know, they're probably made in the exact same factory! Even when I wear foundation and finish it with powder, sometimes I find my skin getting oily as the day goes on. Having a packet of these oil blotting papers in my bag is always handy to regain that matte finish - and come on, with packaging as cute as this it's hard to resist stopping at just one. A beauty routine isn't all about just makeup - it's about how you take care of your skin day-to-day. 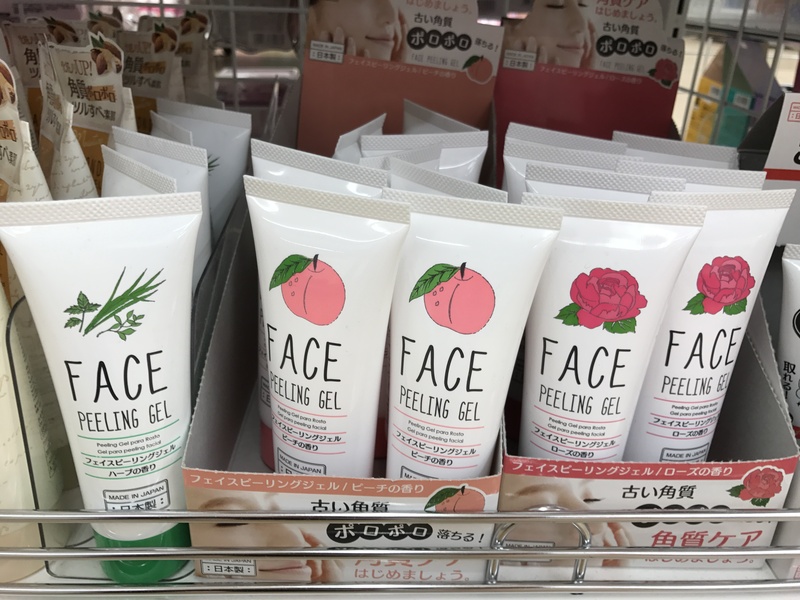 Daiso has plenty of face washes and even exfoliating scrubs, but one of their awesome buys are these peeling face masks. There are several different varieties, and the packaging is adorable. 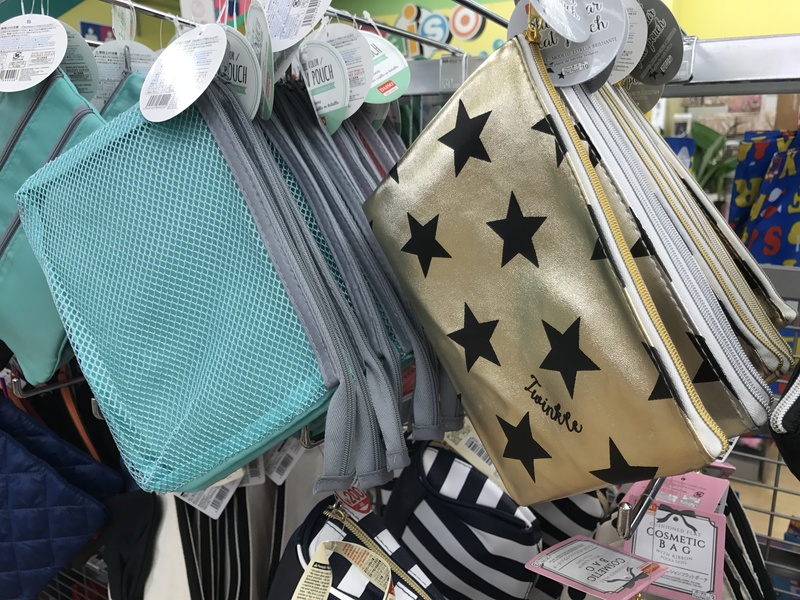 You've got to have somewhere to store all those bargain buys - and 100 yen stores are great places to look for cosmetic bags. 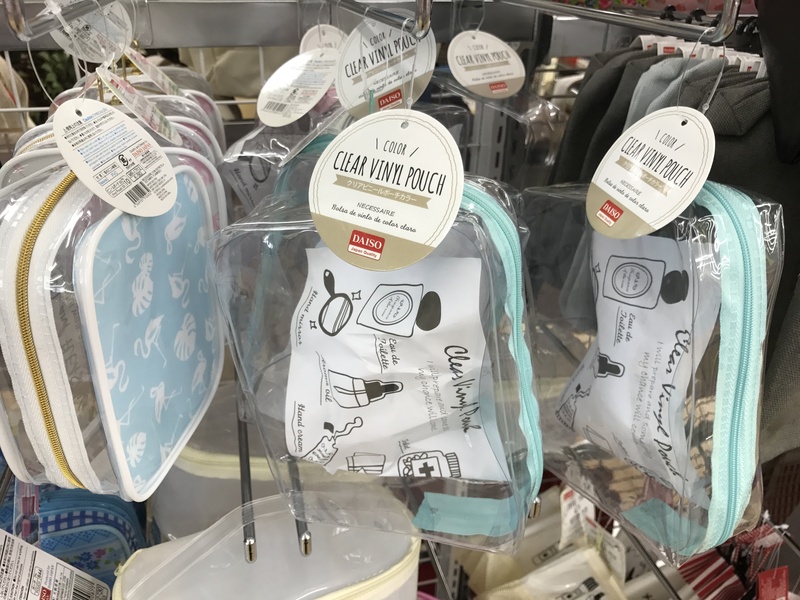 Personally, I love the clear vinyl pouches because it's easy to see everything inside (and they're also great for plane travel if anything is getting checked through the customs/immigration process). Definitely check out what they have if you're in the market for a new cosmetic bag! I also really liked these metallic gold and silver makeup pouches with the stars on them! When it comes time to take your makeup off for the day, these makeup wipes are a great place to start before you wash your face. Plus, with packaging that has Hello Kitty, My Melody or Little Twin Stars on it, they're hard to resist adding to your basket of goodies! Happy Shopping (and beautifying!) - enjoy Japan! 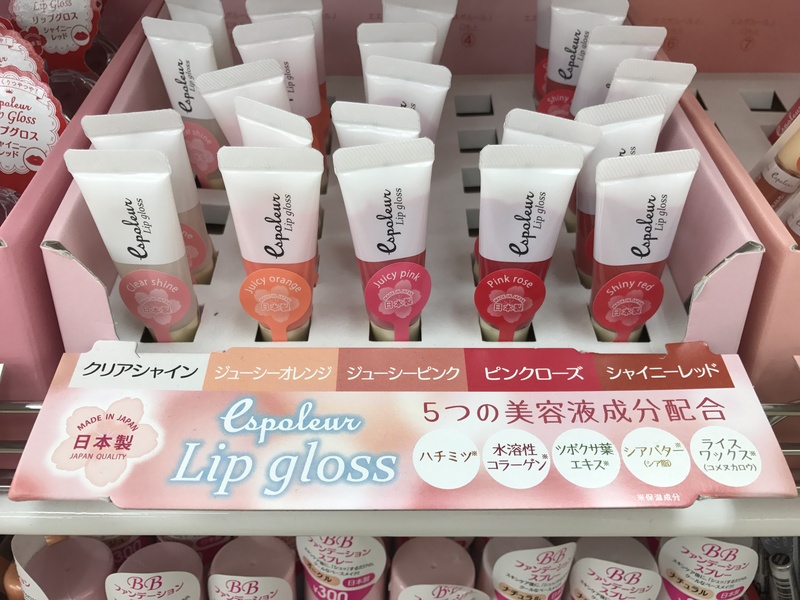 Japan's department store cosmetic brands that won't break the bank! Travel Tips: Cash or Credit? Which is best in Japan! 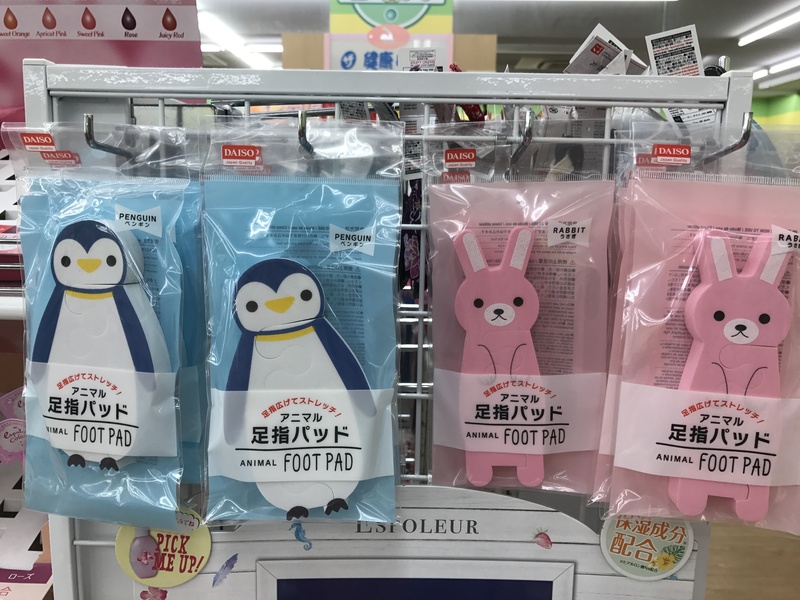 Cute character finds at the 100 yen store - with things you never thought you'd need! Walk with me through the 100 yen store!